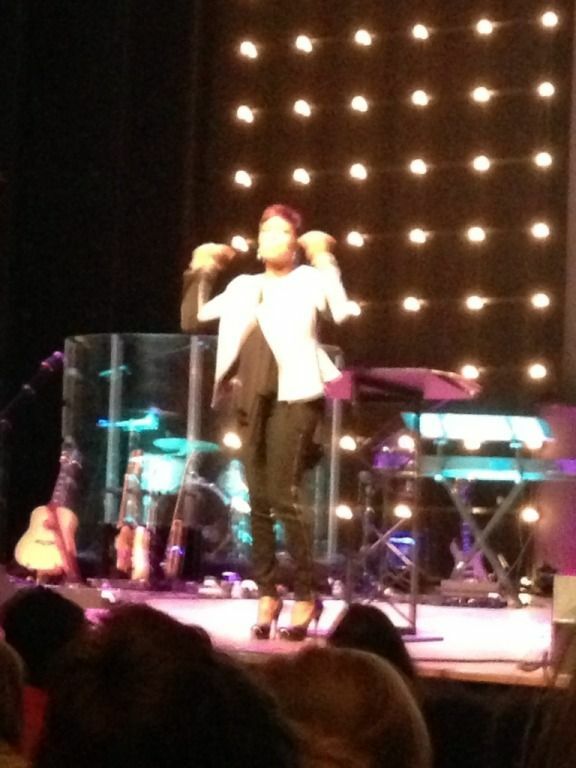 Over the weekend, I attended a women’s conference called Beautiful You and I had an amazing time! I tell you I came home fired up! I apologize in advance if this post turns long, there was just so much goodness that came out of the two day conference. 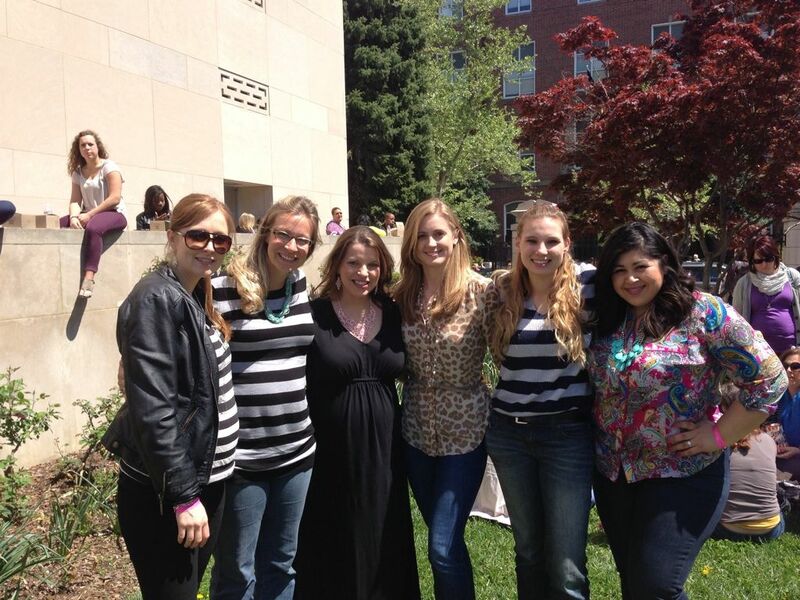 Some girls from our women's group: Kristina, Julie, Me, Jade, Amber and Lisette. I was super excited to hear Lisa Bevere speak because the Women’s Group that I lead each week is reading through her book Girls With Swords. And Lisa did NOT disappoint. If you follow me on twitter, you probably saw me tweeting up a storm, sharing some inspirational quotes that Lisa said throughout her session. The most important thing I took away from her message and from Girls With Swords is that we as women are threats to the enemy and under attack, it isn’t just a man’s world. God is raising us up to fight for good. The most powerful quote of the night was when Lisa said “The attacks on your life have more to do with who you might be in the future than who you have been in the past.” God and the enemy believe in us for GOOD! 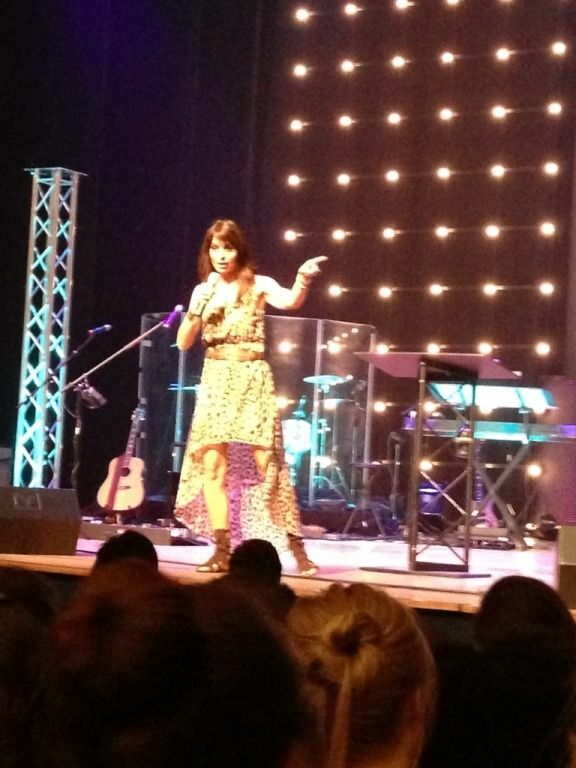 Donna Pisani inspired us to be heard, but to also listen to others and help them be heard. So often, we as women can believe lies that we are just _________ (fill in the black). Just a girl. Just a wife. Just a friend. Just a mom. But God intended us to be so much more, He created us for greatness. 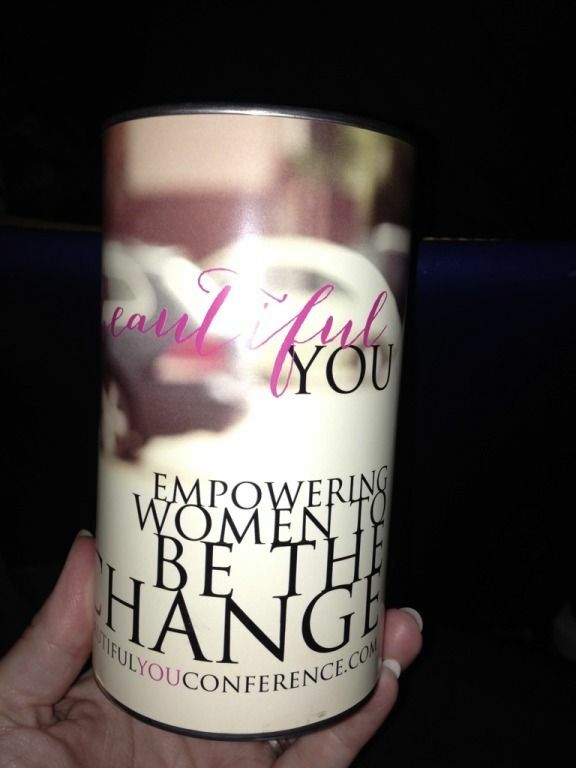 Donna ended her session by giving all of the ladies in attendance a can that we can fill with change. She encouraged us to use this can to be the change in someone’s life. We can use the change can to support a cause we want to raise up, if we are raising money trying to help a financially strapped friend, if we want to help the homeless but never have change when they ask, whatever we want. During the conference she asked us all to take out some change and put it in the can of the girl sitting next to us. Then she had us all stand up and shake our cans in unison. It was such an awesome sound to hear all of these women raising their voices together in such a unique way. I’m so excited to partner with God to fill my change can for something good. I haven’t figured out what I’m going to do with my change can yet, but I do know I’m going to fill it. My favorite speaker from the conference was Dr. DeeDee Freeman. The lady is real! She has such an awesome way of speaking that makes you laugh A LOT, but makes you want to stand up beside her and get on board with everything she says. She shared a story from when her son was 16 years old and got messed up in the wrong crowd and got wrongfully arrested for attempted murder. When DeeDee and her family went to go see her son and saw him handcuffed, both DeeDee and her husband lost it. They couldn’t believe this was happening to their son, they didn’t know what to do. She said that her oldest daughter came over to them while they were a crying mess and yelled at them “What are you doing? Why are you doing this? You didn’t teach us to cower and cry, you taught us to believe in God and always have faith!” Of course her story was longer than what I type, but you get the picture. I was in tears as she told this story. All I could think was that I want to live my life that way; live a life where I model for my children that God is good, He is faithful, He will always protect us. I want my children to yell at me one day that I should stop crying and have faith in God. After all, He is all we need! As you can tell I was moved by each speaker and really enjoyed my time. We also were treated to multiple worship sessions , time to connect with our girlfriends and we got to listen to a Men’s Panel give their perspective on relationships. I am already excited to attend next year – they have a great line up of speakers again! If you want to learn more about the conference, click this link to go to their official website. You can sign up online and attend even if you don’t live in D.C. I’ll be there and I plan to invite tons of friends to join me! this sounds like such an amazing event! i went to a similar one back in February and it was so reenergizing! I am SO excited I just found one at GW in May and I am thinking I might make the trip to go! It looks like a BLAST and something I need to rejuvinate my soul, heart and mind! YAY! I'm so glad you came and that you LOVED it! I was there too and totally touched by what God did! 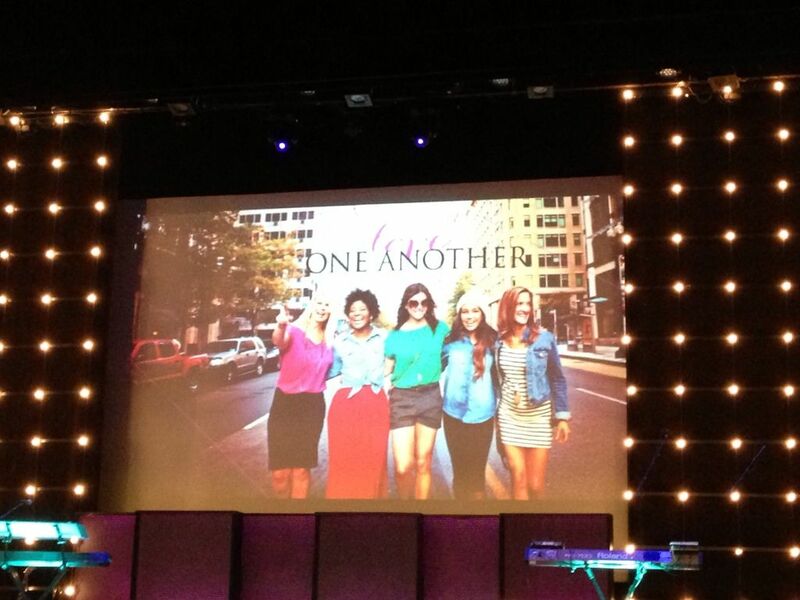 So incredible to be a part of such an amazing and powerful gathering of girls. The sky is the limit!